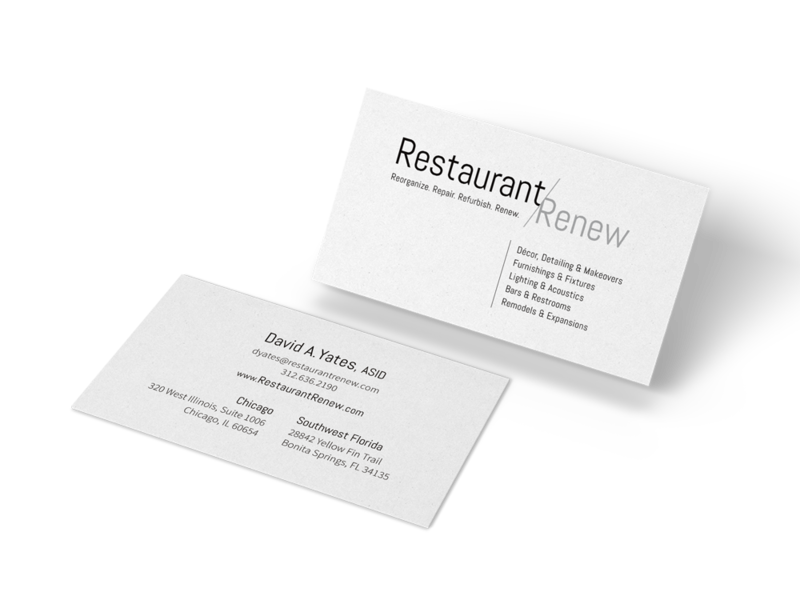 Our latest graphic design project is a logo and business card for Restaurant Renew. We have been working with David Yates, the owner, for many years now. We designed his interior design website David Andrew Interiors as well as some marketing materials. 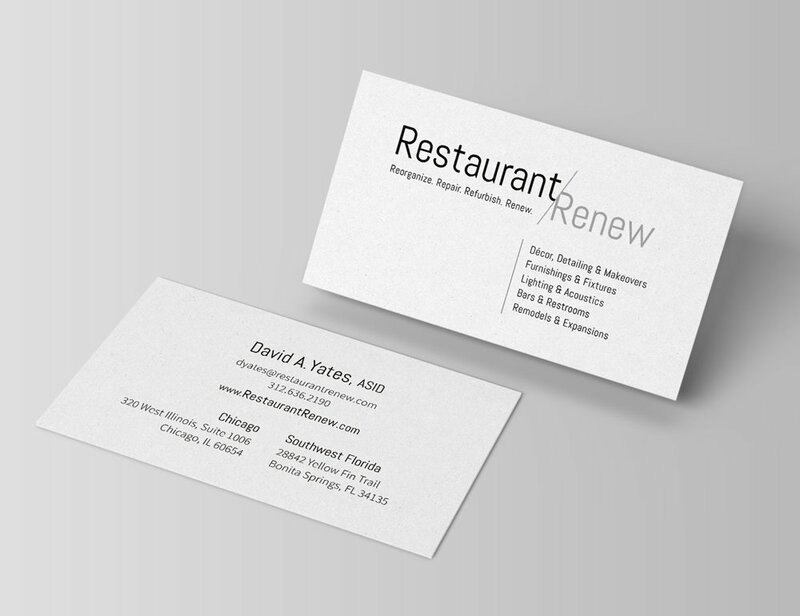 He is now starting a new venture: refreshing and rehabbing restaurants in Chicago and Florida. We have a lot of exciting things for them in the coming months, which we will be sharing with you soon!